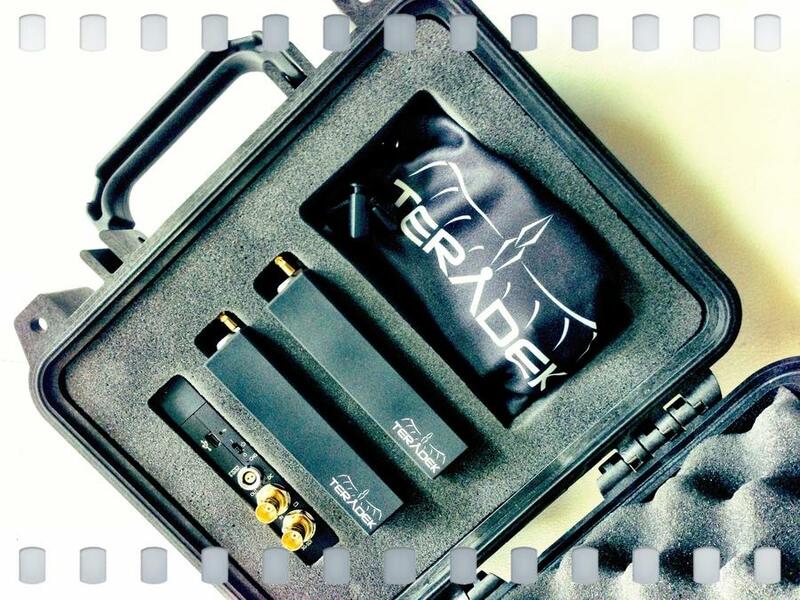 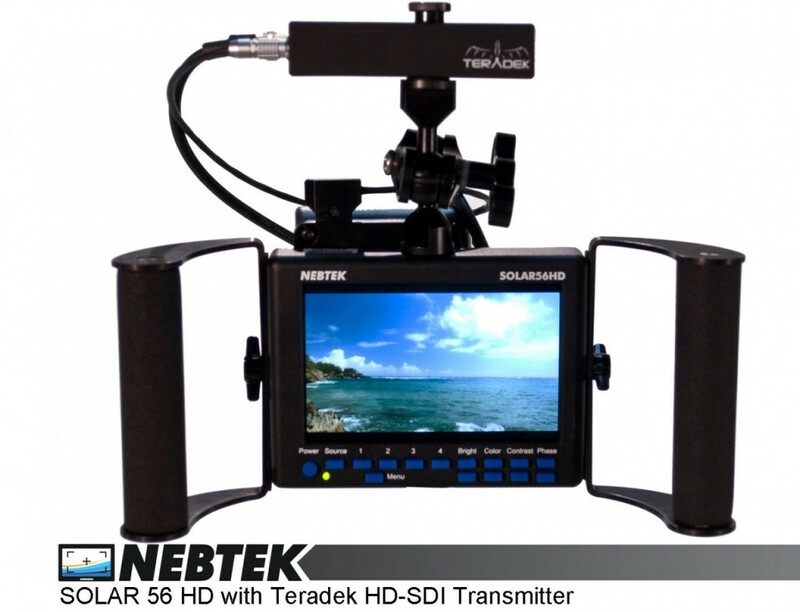 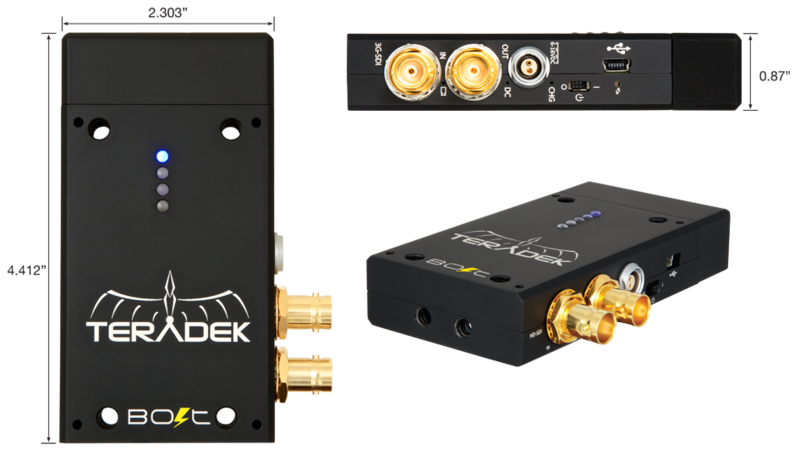 One of the best features of the Teradek Bolt Pro system is its ability to transmit full 1080p60 video to 4 receivers simultaneously. 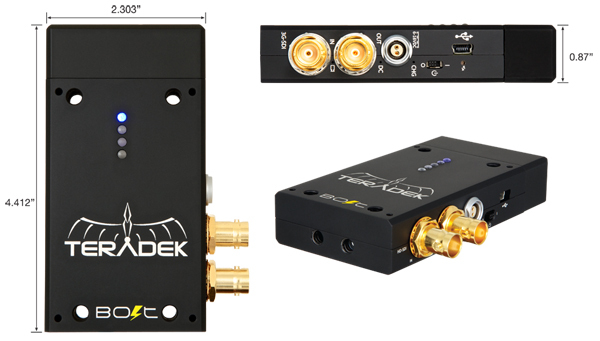 Multicast enabled Bolt Pro systems allow you to mix and match HDMI and 3G-SDI receivers, which means you can connect them to anything from professional field monitors to Teradek Cube encoders. 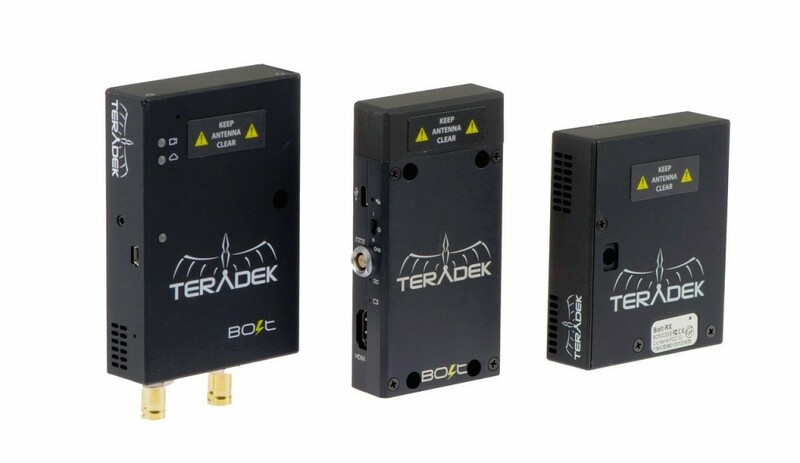 Bolt transmits uncompressed video using WSDI Pro™ (5GHz), which provides a wireless range of up to 300ft and can coexist with other wireless equipment by dynamically adjusting the frequency bands used in real time. For optimal performance in challenging RF environments, Bolt systems can utilize Dynamic Frequency Selection (DFS) to avoid interference. 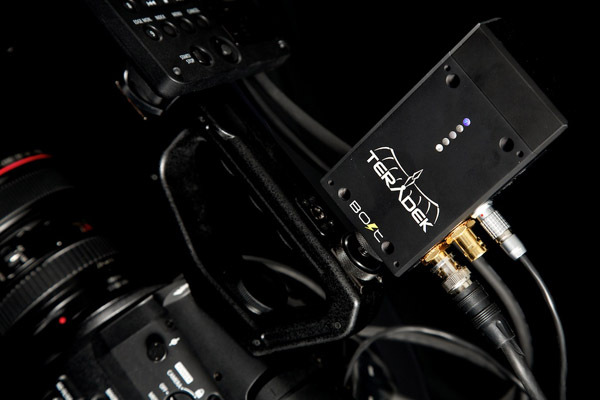 Bolt transmitters are housed in a 7oz milled aluminum chassis with six 1/4" mounting holes. The receiver is enclosed in a durable ABS plastic shell. 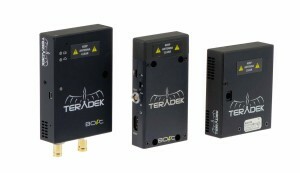 The transmitter requires approximately 4W of power, while the receiver consumes only 6W. To power these units for long periods of time, Bolt ships with a Lemo to P-tap cable that can be used to connect with external power sources such as V-mount or AB Gold-mount batteries. 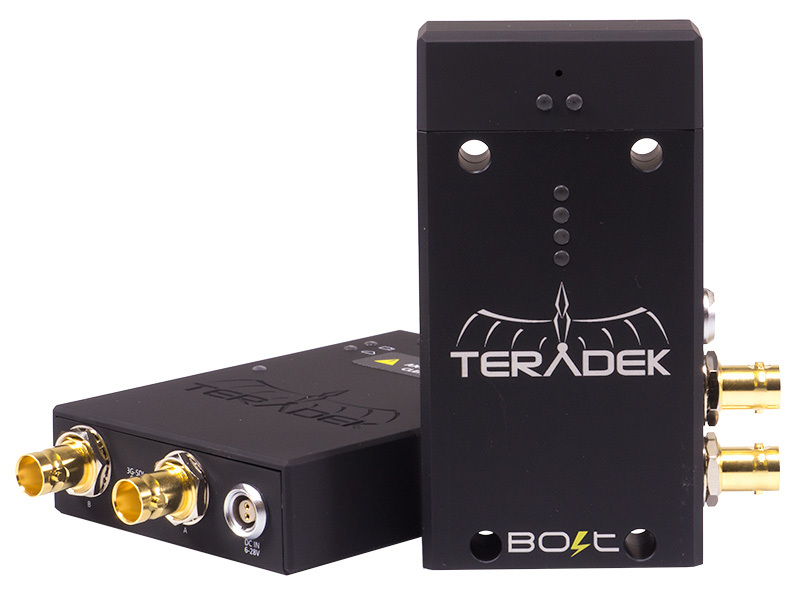 Additionally, Bolt Pro's internal Li-Ion battery provides up to 60 minutes of run time and can be charged via its micro USB port or its Lemo DC input.